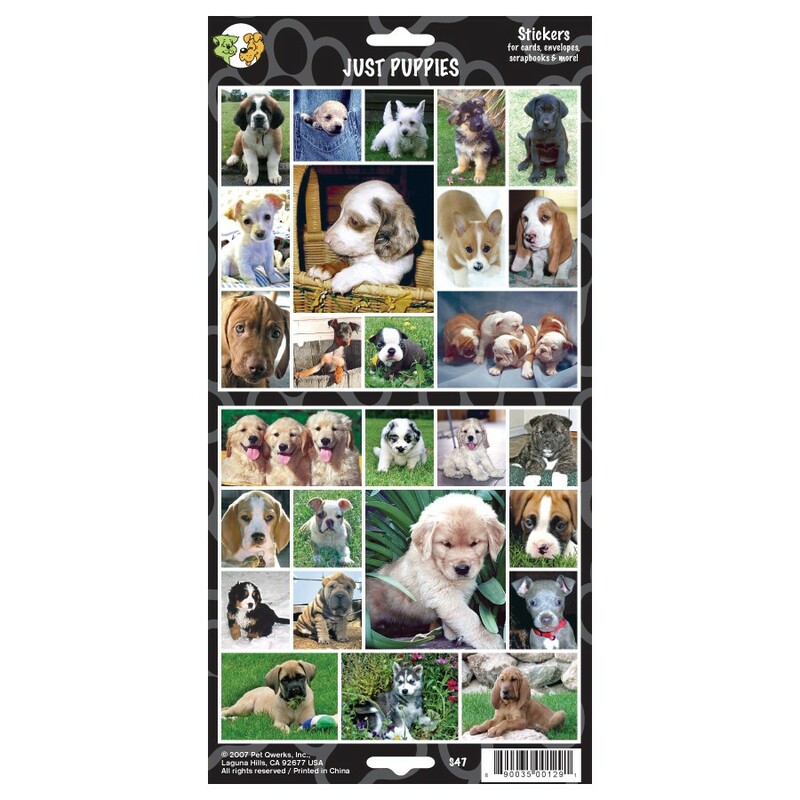 A pack of 27 individual Puppy stickers perfect for multiple ideas with many different breeds listed in the main description. 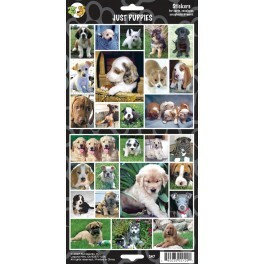 Great for scrapbooking, note cards, envelopes or just for fun. Acid and lignin free. Each sheet contains 27 large and small stickers in a sealed cello envelope.